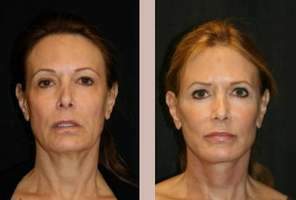 What Is The Refirme Skin Tightening Procedure? Refirme utilizes a unique combination of bipolar conducted electric current and optical (light) energy in reducing wrinkles, enabling you to comfortably achieve a youthful appearance with a tightened, lifted appearance without any downtime. If you desire to tighten and firm your skin pain free, without any downtime, Refirme may be the right choice for you. The combined Bi-polar Radio Frequency and light energy technology precisely heat dermal tissue within the targeted treatment area. The stimulation of collagen production produces a firming effect in the laxed area of skin. Fine wrinkles are reduced with noticeable lifting, this can be observed while the texture of your skin becomes more smooth and elastic. Most patients see results with the very first treatment. Depending upon desired usually 3-4 treatments are performed. Most patients are essentially pain free during this procedure. As every person has a different threshold for pain, for those especially sensitive patients there are protocols that will accommodate them. Treatment is so gentle that most patients resume activities right away. Can I Be Treated If I Have Dark Skin? The Refirme Skin Tightening Procedure is so gentle that it can be used on any color skin. All treatments are performed or supervised by our skilled board certified dermatologists and plastic surgeons.